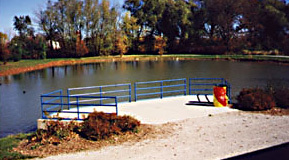 Anderson Park Ponds - 89th St. + 22nd Ave.
Urban fishing area with fair handicapped access. This sign shows the urban fishing pond and trails at Poerio Park. Handicapped access is good, even on parts of the trails. 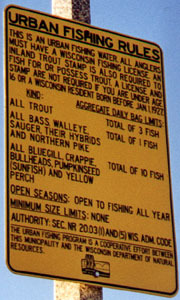 Special rules are enforced at all urban fishing ponds.